The Grand Casablanca region is considered the locomotive of the development of the Moroccan economy. Almost the entire Casablanca waterfront is under development, mainly the construction of huge entertainment centres between the port and Hassan II Mosque, the Anfa Resort project near the business, entertainment and living centre of Megarama, the shopping and entertainment complex of Morocco Mall, as well as a complete renovation of the coastal walkway. The Sindbad park is planned to be totally renewed with rides, games and entertainment services. Casablanca is located in the Chawiya plain which has historically been the breadbasket of Morocco. Apart from the Atlantic coast, the Bouskoura forest is the only natural attraction in the city. The forest was planted in the 20th century and consists mostly of Eucalyptus, Palm and Pine trees. It is located halfway to the city's international airport. The only watercourse in Casablanca is Oued Bouskoura, a small seasonal creek that until 1912 reached the Atlantic Ocean near the actual port. Most of Oued Bouskoura's bed has been covered due to urbanization and only the part south of El-Jadida road can now be seen. The closest permanent river to Casablanca is Oum Er-Rbia River 70 km (43.50 mi) to the south-east. Casablanca has a very mild Mediterranean climate. Casablanca's climate is strongly influenced by the cool currents of the Atlantic Ocean which tends to moderate temperature swings and produce a remarkably mild climate with little seasonal temperature variation and a lack of extreme heat and cold . Casablanca has an annual average of 74 days with significant precipitation, which amounts to 427 millimeters per year. The highest and lowest temperatures ever recorded in the city are 41.6 °C and −2.7 °C, respectively. Visible from afar - whether by Land Sea or air, - the great Hassan II mosque was inaugurated on August 30, 1993. The prayer hall can fit in a congregation of 25000 and its esplanade 80000. The prayer hall can become a patio in 3 minutes thanks to its retractable roof. Its 200m high minaret makes it the highest religious building in the world. This architectural gem is open to non-Muslims outside prayer time. Pr Doumbia Seydou, M.D., Ph.D. Professor Seydou is deputy scientific director of the Malaria Research and Training Center, and professor of epidemiology at the Department of Public Health, Faculty of Medicine, and University of Bamako, Mali. Professor Doumbia Seydou is a professor of Epidemiology, Department of Public Health, Faculty of Medicine, University of Bamako, Bamako, Mali, and Responsible for MsPH training program in Epidemiology, he is also the Deputy Director of NIH/NIAID-University of Bamako Intramural Research Programs, Malaria Research and Training, Center, Faculty of Medicine, University of Bamako, Bamako, Mali. For more than 15 years he has been involved in several aspects of malaria and other infectious diseases research including leishmaniasis, schistosomiasis, and HIV/AIDS. Head of Independent Research Group (W2: eq. Associate Professor)Member of the Computational Genomics & Epidemiology Group, Max-Planck Institute Informatics, Saarbrucken, Germany; Center for Bioinformatics (CBI),Saarland University, Saarbrucken, Germany; The International Society for Computational Biology (ISCB) and Faculty member, Computer Science Department, Saarland University, Saarbrucken, Germany. Doctor Alice Carolyn McHardy is head of Independent Research Group and is a member of Computational Genomics & Epidemiology Group, in Max-Planck Institut for Informatic, in Saarbrucken Germany. She starts a postdoc in 2004 in Bioinformatics Resource Facility, in the Center for Biotechnology in Bielefeld University, Germany. In 2007 she ends her postdoc and become permanent Research Staff Member in Bioinformatics & Pattern Discovery Group, in IBM T.J. Watson Research Center, Yorktown Heights, NY in USA. 6 times awarded: in 2001 she obtained the PhD Scholarship ’Graduiertenkolleg Bioinformatics’, in Bielefeld University, Germany; she get the ISMB Best Poster Award; in 2006 she obtained the IBM Invention Achievement Award and the IBM Research Division Technical Achievement Group Award; in 2008 she obtained a sponsorship ’Fast Track Program’ (Robert Bosch Foundation) and finally in 2010 she was selected as participant for 60th Nobel Laureate Meeting in Landau. Dr Alice McHardy, has also 2 grants: Since 2006, she was invited talks many times in several institutes and different workshops held in Germany and USA. She is co-author of more than 27 (10 first authorships) publications in scientific journals and books, including Nature, Nature Biotechnology, Nature Methods, PLOS Pathogens, PNAS, Nucleic Acids Research and Bioinformatics. She also has 1 patent with DEGUSSA AG, IBM and Max-Planck Society. Instructor in Systems Biology on the institution of Harvard Medical School department of Systems Biology. 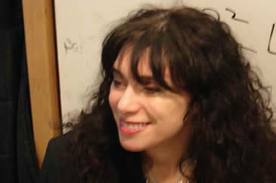 Debbie Marks is a computational biologist interested in non-coding RNA genes called microRNAs. To see more about her work go to [http://connects.catalyst.harvard.edu/profiles/profile/person/86062]. 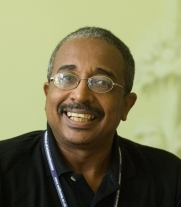 Associate Professor and Head of Department at the Institute for Endemic Diseases, University of Khartoum. Muntaser has had a major interest in the immuno-epidemiology of malaria in the low-transmission setting, and is expanding this to include epidemiological studies in a region where malaria is more endemic. A specific focus of his research is to define ethnic differences in susceptibility to malaria, at both the immunological and genetic levels, and to establish the epidemiological infrastructure to dissect the molecular basis of these differences by genomic association analysis. Biologist with formal training in population genetics and biophysics which he received from the Universidad Complutense de Madrid. He was awarded his PhD in 1988 at the Universidad Autónoma de Madrid. He was a Visiting Scientist at the American Red Cross Laboratory in 1987 and from 1989-1994 was a Postdoctoral Fellow at the laboratory of C. Sander at the European Molecular Biology Laboratory (EMBL), Heidelberg, Germany. In 1994 Alfonso Valencia set up the Protein Design Group at the Centro Nacional de Biotecnología, Consejo Superior de Investigaciones Científicas (CSIC) in Madrid where he was appointed as Research Professor in 2005. He is a Member of the European Molecular Biology Organisation (EMBO), Founder and former Vice President of the International Society for Computational Biology where he has been Chair of the Systems Biology and/or Text Mining Tracks of the main Computational Biology Annual Conference (ISMB) since 2003. He was honoured as ISCB-Fellow in 2010. Alfonso Valencia serves on the Scientific Advisory Board of the European Molecular Biology Laboratory; the Swiss Institute for Bioinformatics, Biozentrum, Basel; the INTERPRO database; the Spanish Grant Evaluation Agency (ANEP); as well as the Steering Committee of the European Science Foundation Programme on Functional Genomics (2006-2011). Alfonso Valencia is Co-Executive Editor of Bionformatics, serves on the Editorial Board of EMBO Journal and EMBO Reports, among others. He is the Director of the Spanish National Bioinformatics Institute (INB). Associate Professor, Department of Animal Breeding and Genetics Swedish University of Agricultural Sciences. Ph thesis: 1995 Doctor in Medical Sciences (Dr. Med. Sci). Department of Pathology, Uppsala University, Title of thesis: "Studies on glial fibrillary acidic protein (GFAP) in human glioma cells in vitro and in vivo". Post-doc: Post-Doctoral position at the Wenner-Green Institute, Stockholm University. 1996-1997 Docent (associate professor): 2004 Employment: Associate Professor, Dept. of Animal Breeding and Genetics, SLU, Uppsala, Sweden and at the Department of Genetics and Pathology, Uppsala university, Uppsala, Sweden. For information, the way from hotel to the IP Casablanc is well served by the Tramway. Participants can have nice Walk from the Hotel to the Tram station for 5 to 10 minutes. Tramy services starts 5h30 morning until 22h30 night. Logistics Travel - ISCB Africa ASBCB Conference on Bioinformatics. Morocco March 2013. Delegates are responsible for booking their own flights to and from Casablanca. In most cases, booking airline tickets via the internet is a cost-effective option. Mohammed V International Airport (airport code CMN) is located in Morocco about 30 kilometers southeast of Casablanca. The busiest airport in Morocco has almost 7.25 million passengers annually and is named after the late Sultan Mohammed V. The airport has three terminals, Terminals 1 and 3 for international passengers and Terminal 2 and is served by trains, taxies and rental cars. Each week the airport has 182 flights to Paris, 17 flights to New York, and 14 flights to Dubai and Frankfurt. at the Train terminis (Ain Sbaa station, it takes about 40 min) you change and get the train to Casaport train station (every half hour). Casaport is the terminus. Novotel and Ibis are just cross the street from the main door. You stop at Casa voyageur train station, then you take the small red taxi to Novotel (close to Casa port train station). It should take 10 min and cost about 20-30 DH (2-3 euros) depending day or night tarif. 3 people can fit in the taxi and pay one bill. Take a (white) taxi (Grand Taxin they are all Merecedez) at the airport to the hotel. The price are around 30 euros. Do not hesitate to bargain if the driver ask you more ;) It takes 30 min to be at the hotel in non rush hours. You can ask Novotel Tel : 05 22 46 65 00 to send you a cab but you have to pay for it yourself. Turn Left into Boulevard Phelix Houphouet Boigni (Right will teka to the ocean). 200 m there will be a large square, where is The big Hyatt Regency hotel. Take the tramways direction "Facultés" or "Aid Diab" (2 tramways lines pass by this station, both are OK). Stop by the 5th station : Station "Faculté de Médecine" (the next after "Station des Hopitaux"). The trip will take 5-10min. The ticket costs 8.00MDH (about one dollar), It s rechargeable one. To charge it will cost you 6.00DH only. Passport should not be less than 6 months from the date of expiry. There should be at least 1 full, free page in the passport for stamping by officials. Citizens from countries that require visas for the Kingdom of Morocco (KM), who arrive without visas, will be refused entry into the KM territorial and placed on return flights in terms of legislation. All participants requiring a visa and having a Moroccan Embassy in their country should arrange to submit their visa as soon as possible. The Institut Pasteur de Tunis, will pre-arrange a VISA on arrival. Every participant must hold a valid national passport or any other travel document allowing him/her to return to the country of origin where the document was issued after having obtained a transit or entry visa. The organisers of the conference cannot accept liability for personal injuries sustained, for loss or damage of property belonging to participants or their accompanying persons. It is therefore required that delegates and accompanying persons arrange for appropriate travel and health insurance before travelling to Morocco. Morocco is a French speaking country, yet the official languages are Arabic and Berber. French and English, however, are spoken throughout the country, and signage is generally in Arabic and French. Keep cash, credit cards and identification documents in a secure place or concealed on your person. Institutions registering 10 paid participants together earn one additional student registration for free. Registration fee for students on travel fellowships will be covered by the fellowship (registration required - use fixable PDF registration form and follow instructions for indicating 0 registration fee due). Please note: All registration fees will be charged with US Dollars (USD). A $10 processing fee will be added for online credit card payments to cover the costs of bank transfer fees to move the funds to Tunis. Feb 19 - ISCB Africa ASBCB Conference on Bioinformatics has been relocated to the Novotel City Center Hotel in Casablanca, Morocco, for March 13 - 15. Early registration rates available through March 1. Alice Carolyn McHardy and Debora Marks have accepted to give a keynote talk at the conference. 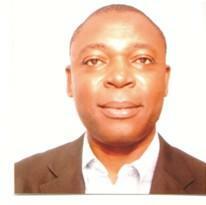 Seydou Doumbia has accepted to give a keynote talk at the conference. Seydou Doumbia, M.D., Ph.D., is deputy scientific director of the Malaria Research and Training Center, and professor of epidemiology at the Department of Public Health, Faculty of Medicine, University of Bamako, Mali. Dr. Doumbia holds an M.D. degree from University of Bamako, and a Ph.D. from Tulane University, New Orleans, U.S.A.
NIAID is confirmed for supporting ISCB Africa ASBCB as a conference sponsor (http://www.niaid.nih.gov/).